Boat and engine companies will continue to add components, technologies and devices that nose today’s power craft closer to a car-like experience behind the wheel. Two of the major engine manufacturers this spring were gearing up for the introduction of substantial product offerings and technological advances. Volvo Penta and Mercury Marine remained tight-lipped about news they planned to break at their respective press introductions. Volvo Penta in June is hosting a press event at its headquarters in Gothenburg, Sweden. The company plans to debut new helm technologies, displays and electronic control systems, according to the manufacturer. “The main thrust here is we are trying to achieve a more integrated package from helm to stern — all the electronics, the engines, the trim systems, the displays and helm systems working better together in an easier format,” says Marcia Kull, vice president of marine sales. Joystick Driving steers the boat but does not function as a throttle to control forward and reverse propulsion. I tried the system on a 36-foot aluminum pilothouse boat at the press event. It was a bit tricky at first because small nudges to port and starboard turn the boat significantly — and quickly. 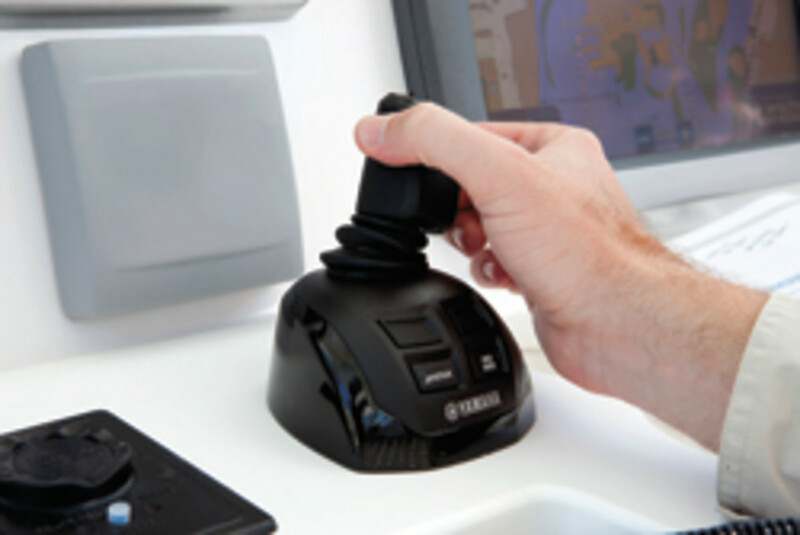 Rotating the joystick to fine-tune the heading on the autopilot should be of great value for long-distance cruising. Mercury last introduced an outboard — the 150 FourStroke — at the 2012 Miami International Boat Show. A few months later, MerCruiser unveiled an 8.2-liter gasoline engine. At the IBEX show last fall, Mercury debuted its Joystick Piloting for Outboards. 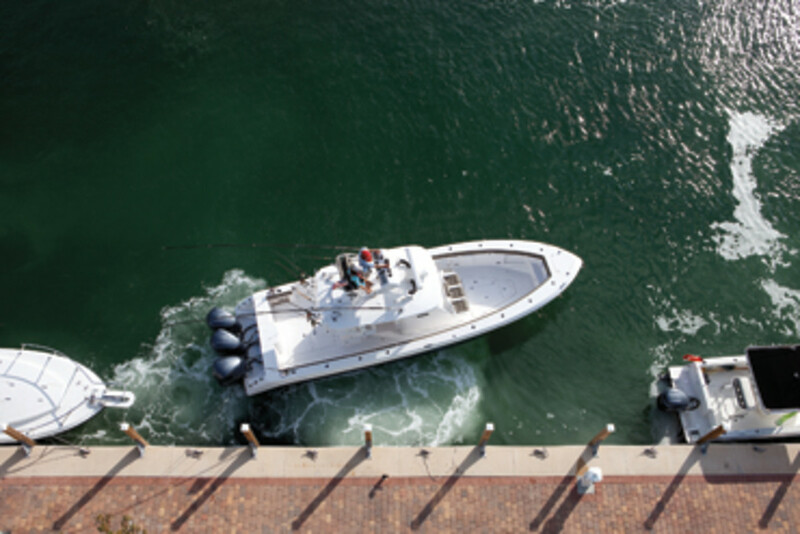 At a press event last September, Volvo Penta rolled out two new gasoline sterndrive engines — the V8-380 and V8-320. The variable valve timing technology of these engines pumps up midrange acceleration and improves fuel-burn efficiency. Joystick technology has dominated the news in the propulsion world, especially in the past 18 months as the economy sputtered toward a healthier state. In March, Suzuki Marine became the fourth major outboard manufacturer to offer joystick helm control. It will be available with the DF250AP and DF300AP 4-strokes and its drive-by-wire system (Suzuki Precision Control). The company showed a prototype and concept drawings at the Japan boat show. Suzuki this summer will have more information about the joystick system. At this year’s Miami boat show in February, Volvo Penta, Mercury, Yamaha and Teleflex (now SeaStar Solutions) showcased their systems on boats in the water. In addition to Volvo’s V8-320 and V8-380 with joystick helm control, I have tested a trio of new joystick systems for outboards: Yamaha’s Helm Master, Teleflex’s Optimus 360 by SeaStar and Mercury’s Joystick Piloting. Yamaha’s Helm Master teams with the engine maker’s V-6 F225, F250 and F300 4-strokes, as well as the V-8 F350. 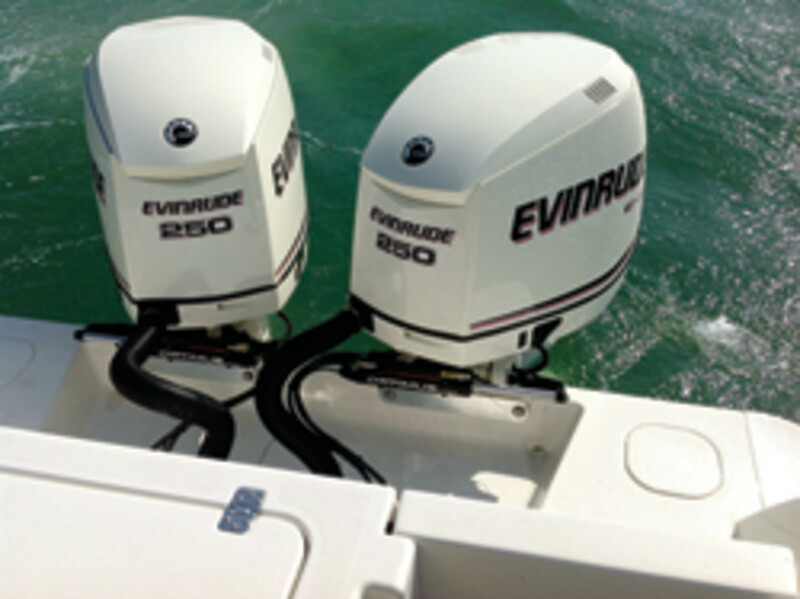 The Optimus 360 system uses Evinrude’s high-horsepower E-TEC outboards. State-of-the-art steering systems and new features, such as steering friction control, bolster the user-friendliness of these two joystick systems. “It’s not just about the joystick,” says Yamaha product design manager David Meeler. 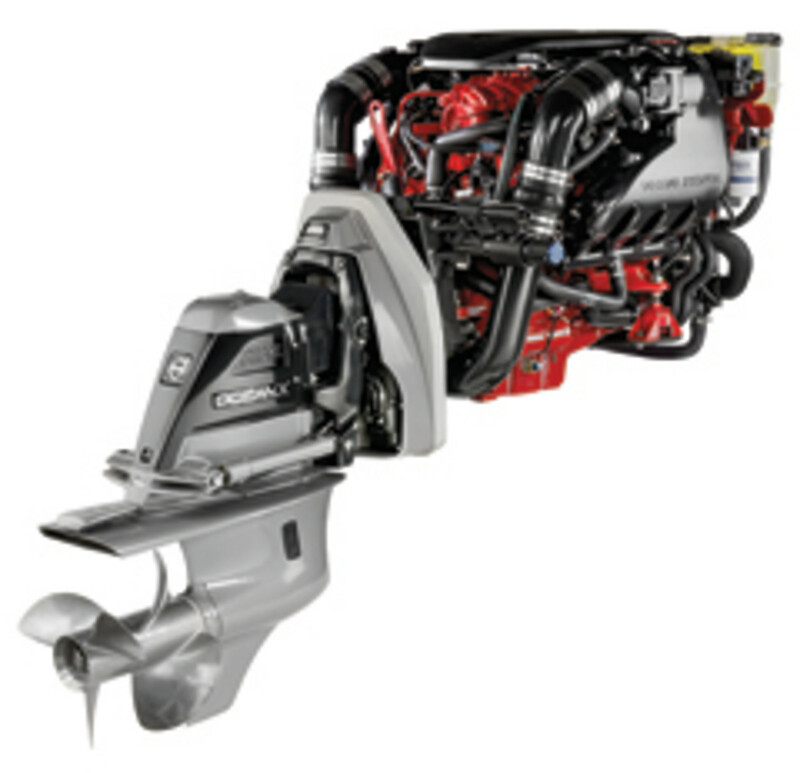 SeaStar Solutions marries the Optimus 360 to Evinrude’s ICON electronic shift and throttle. It works with 300- and 250-hp E-TEC outboards. Introductions of outboards have waned a bit as companies focus on complementing their power packages, but Yamaha did come out with 4-cylinder 150- and 200-hp 4-strokes. I have run the F200 on a Sportsman 229 center console. The 487-pound F200 packs a lightning-quick jab, thanks to its variable camshaft timing. The boat accelerated from 20 to 30 mph in about 4 seconds and saw 43 mph (WOT) in another 3-1/2 seconds. 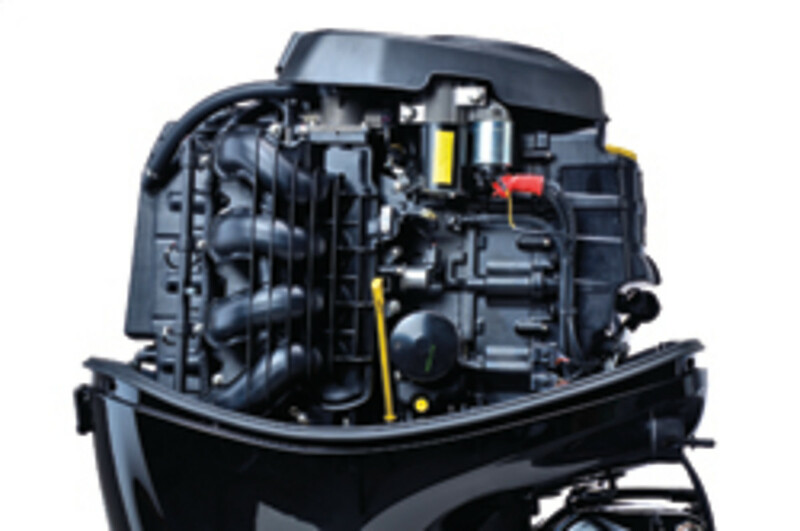 The engine weighs 119 pounds less than Yamaha’s V-6 F200 and 14 pounds more than its 2-stroke Z200 HPDI outboard. It’s built around a 2.8-liter, 16-valve dual overhead camshaft powerhead. Honda also joins the mix with a new 2.3-hp portable that’s 15 percent more powerful than its predecessor, the BF2. The BF2.3’s centrifugal clutch makes for smooth idling and automatically engages the prop above idle speed, according to the company. The engine weighs 29.5 pounds. Technology came in the form of green packages, too. Torqeedo introduced its 80-hp Deep Blue electric outboard. A new engine from Lehr is also green, but it’s only 9.9 hp and powered with propane. Early last year, Lehr introduced its first propane outboards: 2.5- and 5-hp engines. BRP’s new 135-hp, high-output 2-stroke — the Evinrude E-TEC 135 H.O. — will be a good fit in single applications for small center consoles (under 22 feet or so), flats boats and bowriders, among others, the company says.